Life-long kidney patient educator Dori Schatell, MS, and internationally-known nephrologist Dr. John Agar, MD, explain how dialysis works; each of the ways to do it; and how your treatment choice may affect your diet, energy level, work, travel, sexuality and fertility, sleep, and survival. 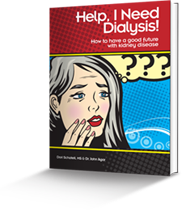 Comprehensive and fully referenced, this book is a must-read if you face the life-changing choices that come with kidney failure. Paperback, 202 pages. The tips will not only help you with coping with peritoneal dialysis, but also will enlighten your medical team, friends, nurses, family members, and caregivers in their efforts to make life more comfortable for you. If you or your loved one is considering doing peritoneal dialysis or recently started peritoneal dialysis, this book is a must-read! Sheila Shaw has been living with chronic illnesses for the past 20 years. 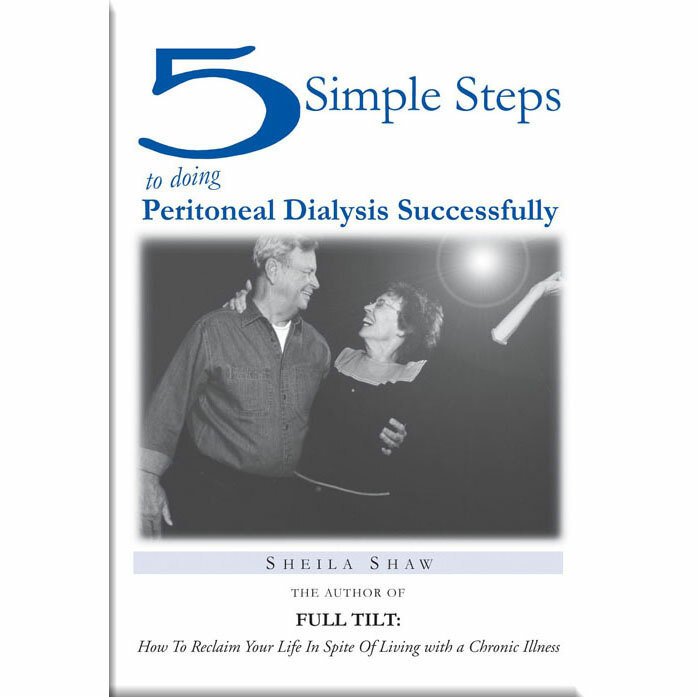 As the CEO of Patient’s Pride, Inc., a kidney transplant recipient, and a former peritoneal dialysis patient, and after speaking with thousands of PD patients and successfully helping them support their catheters and move forward with their lives, Sheila Shaw knows from personal and professional experience how to truly get through peritoneal dialysis successfully. Sheila has dedicated her life to inspire others to live their lives to their fullest despite living with chronic illness. Angelini Pharma’s mission is to offer innovative and progressive solutions for antisepsis and disinfection to healthcare professionals and self care patients in the renal markets. Our products are sodium hypochlorite-based, and manufactured via partial electrolysis to create an end product that is stable, safe, pure, and effective. 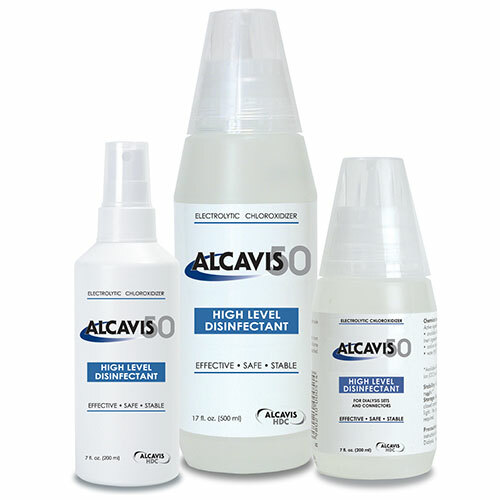 Alcavis 50, a high-level disinfectant for dialysis catheter caps and connections, can be used to disinfect central venous catheter end caps prior to hemodialysis initiation and termination as well as on the peritoneal dialysis transfer set prior to CAPD and CCPD tubing connections. Other uses for our home population include disinfection of PD bag medication ports and medication caps for intraperitoneal injections. Alcavis 50 can be used to disinfect accidental transfer tip contaminations (dropped transfer set) and for scheduled routine transfer set changes at the dialysis clinic. Alcavis 50 is available in 200ml spray, 250 and 500ml size multi-dose pour bottles. Discuss adding this product to your home dialysis delivery with your dialysis care provider or contact Angelini Pharma at 800-726-2308 ext. 114 or email inquiry@angelini-us.com for more information on Alcavis 50. 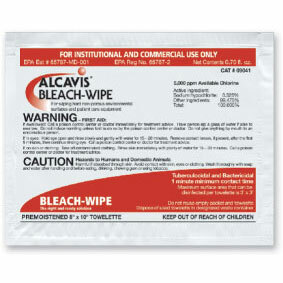 Alcavis Bleach Wipes provide a safe, effective, and stable dilution of bleach and purified water in a ready-packaged single or double towelette for surface disinfection. 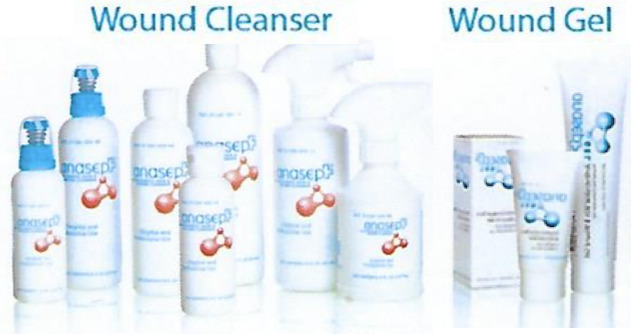 Anasept™ is a safe and gentle skin and wound antiseptic. It comes in liquid spray and thick, clear gel forms. 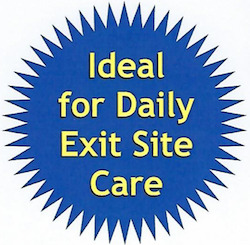 Dialysis patients find it easy to use to clean and disinfect any exit sites. Anasept is a solution of .057% Sodium Hypochlorite in saline, and it will not irritate or stain the site or surrounding skin. 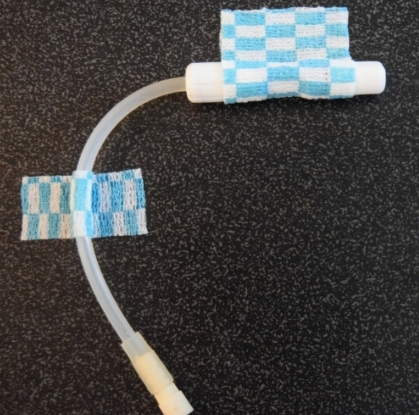 Also, it is compatible (non-damaging) with all catheter materials. Anasept is effective against a broad range of bacteria, fungi, and viruses including MRSA, VRE, Staph, Pseudomonas, and Candida, as well as many others. With proper use of Anasept, the patient can be assured that the dialysis or wound site is clean and bacteria-free. Anasept products are over-the-counter and have a 2 year shelf life. For more clinical information, or to purchase Anasept, please call or email us. AOSS Medical Supply now offers home dialysis users its own privately-manufactured brand of ultra-absorbent cotton applicators, known as AOSS Sure-Stop. Sure-Stop is typically used for access site closure and protection following dialysis at home or in an on-site facility. 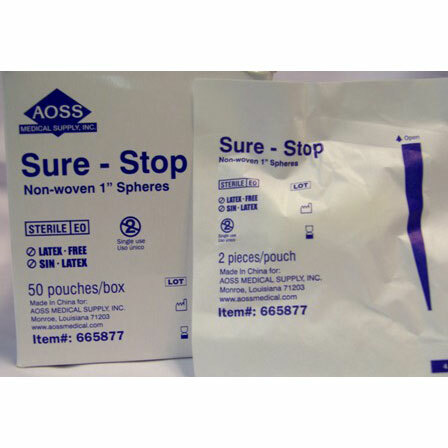 Each AOSS Sure-Stop is a 1" sphere of non-woven cotton and is packaged in a box of 50 pouches, containing two (2) spheres each. AOSS Medical Supply inspects each custom kit for absolute quality and makes sure that each required product is consistent with each patient request. For over 26 years, AOSS Medical Supply has served the healthcare industry, and we are here to serve you, as well. 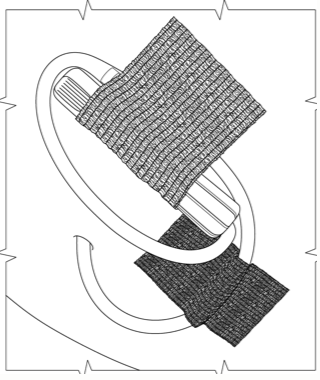 The CATHY-MATE is a catheter securement wrap that secures the catheter without any sticky reside and doesn't attract dust and dirt the way tape does. 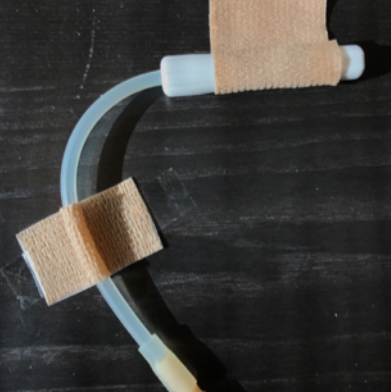 It allows the patient to release and re-secure the catheter multiple times without having to replace the adhesive to the skin, reducing the number times it needs to be changed - saving time, money, and making it less irritable to the skin than using tape. The best part that is that the CATHY-MATE remains secure when it gets wet during a shower. Overall, just a great, new, innovative product that will help dialysis patients everywhere. FDA-Approved CELOX [CELL-ox] Products are redefining effective bleeding management. Bleeding has been stopped in much the same way it has been since the turn of the last century – until now. CELOX Granules, Gauze and Dressing are invaluable, potentially life-saving products that provide rapid, efficient hemostasis for men, women, children and seniors. CELOX provides a range of hemostatic products to control bleeding from and around central venous catheter, fistula, and graft access sites. CELOX performance has been proven on the battlefield, in emergency and clinical settings, and in the laboratory. 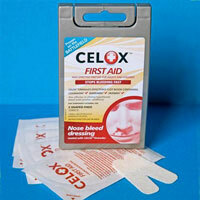 CELOX is the only hemostat proven to rapidly stop bleeding even when blood and its ability to clot is compromised by use of anti-coagulant blood thinners like Coumadin, Warfarin, Plavix, Pradaxa or Xarelto. 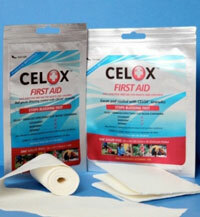 CELOX doesn't sting or burn and easily irrigates with water or saline. CELOX products are not new. CELOX was created for use on military battlefields to stop severe bleeding in its tracks – in most cases instantaneously – even in extreme circumstances or challenging conditions. Now the same FDA-approved, military-strength, hospital-grade products are available for use in non-military markets – without a prescription. CELOX is classified by the FDA as an OTC medical device, not a pharmaceutical. Free shipping when you enter code HDCfreeshipping at checkout. Champion Manufacturing is a leading supplier of patient seating to all of the nation’s largest dialysis providers. The features that have made our recliner a best-seller in dialysis centers are the same features that make it well-suited for the home dialysis patient: comfort, quality, durability, and ease of operation for patients and their caregivers. 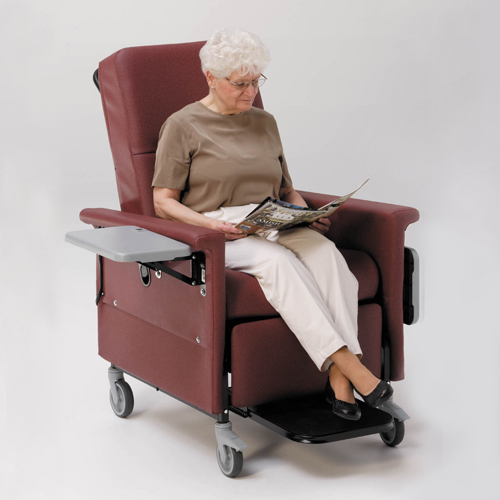 Infection control is critical to the home dialysis patient, and Champion’s dialysis recliner with antimicrobial vinyl upholstery and quick-release seats make cleaning and disinfecting surfaces easy. Champion ships via white-glove carrier to patient homes in most areas. Recliners are fully assembled and ready to use when they arrive.